Seeking a rhinoplasty surgeon in London means doing some research yourself to find the best and safest hands for your procedure. Cosmetic surgery isn’t something that should be undertaken on a whim or considered lightly, but rather a decision that needs your attention and full comprehension. With so many people, both television personalities and members of the public, taking their chances with surgery abroad, The Nose Clinic are here to guide you on how to find the best rhinoplasty surgeon in London. Searching for the right cosmetic surgeon may take some time and patience. The professional you’re seeking should be board-certified in the UK, such as with the British Association of Aesthetic Plastic Surgeons (BAAPS) and a recognised surgical professional. There should be no cutting corners when seeking your rhinoplasty surgeon, because it is not just your results but your safety that you are looking to affirm. Once you’ve found your rhinoplasty surgeon, you’ll arrange a consultation. 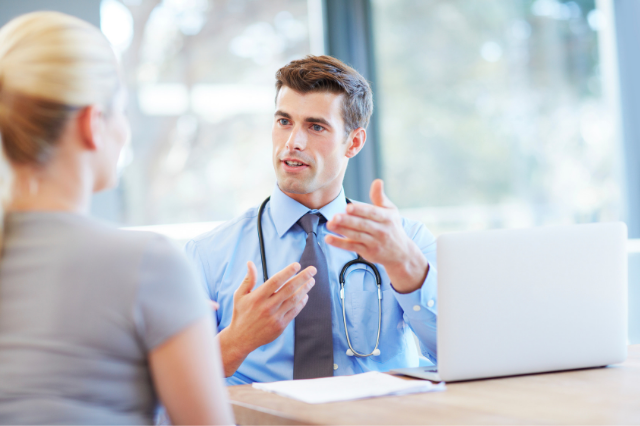 This consultation is one of the most important parts of the process for you as a patient, because it is here that you can ask all of your questions. If you’re cosmetic surgeon does not inspire trust after this initial consultation, then you have not found the professional for your procedure yet. Take this opportunity to find out about aftercare, recovery time, possible complications, and the best procedure for you as there are multiple approaches. If you feel that the surgeon you have met with has pressured you into committing to surgery or rushed this crucial part of your patient journey, then we highly recommend seeking a different cosmetic surgeon that will not take this process so lightly. Your rhinoplasty surgery is no doubt very personal to you. Maybe you have never liked the appearance of your nose, or an accident caused a bump or disfigurement in it. Whatever your perceived problem with your nose, you will also probably have an idea of how you’d like it to look post-surgery. Communicate to your cosmetic surgeon what you would like, and they should be able to either explain how this could be achieved or if it can’t be and we need to manage your expectations. This is also the stage your surgeon should talk to you about surgical approaches, the anaesthetic used, and any limiting factors regarding your results. Your rhinoplasty surgeon should always be open and honest with your expectations, so if you feel you are being promised too much then they may be hiding the reality of your procedure or results from you. Cosmetic surgery abroad has become a very popular and equally dangerous industry. While prices may be significantly lower abroad than they are in the UK, this should act as a warning sign rather than an incentive to book. Health regulations and surgical qualifications may be different to those expected in the UK. Also, a UK-based surgeon is better placed to deal with aftercare and complications because they are easier to meet with and get in contact with. Your safety as a rhinoplasty patient should never be compromised, and this is one way of taking steps towards safer surgery. If you are considering a rhinoplasty in London, speak to our empathetic team at The Nose Clinic on 020 7118 3553 to arrange an honest consultation.